From the dashboard, follow your Android devices at all times and places by activating the location tracking. Keep an eye on the position of each device on a map for more security. 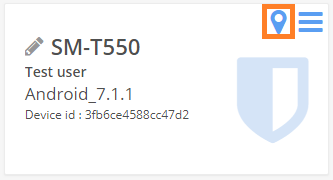 From the Devices tab, click on the location icon on the device you want to check. From here you can see the exact location of the selected device. 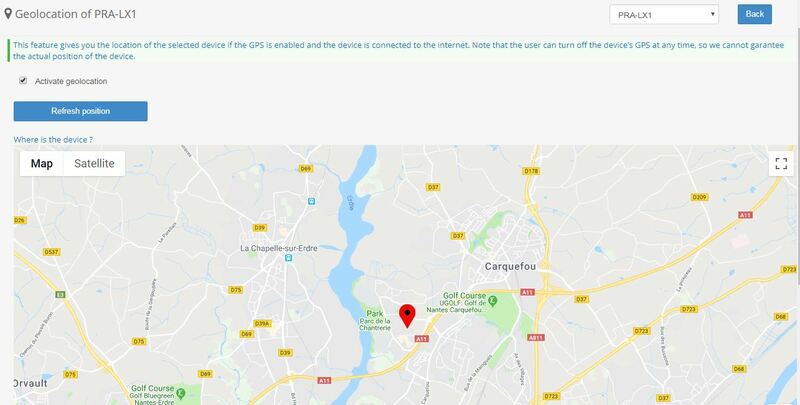 Please note that this feature gives you the location only if the GPS is enabled and the device is connected to the internet. For privacy purposes, it is only possible to locate a fully managed device: physical tracking isn’t allowed when a work profile is installed on an employee owned (or corporate owned / personally enabled) device.